Karaoke is a fun activity. 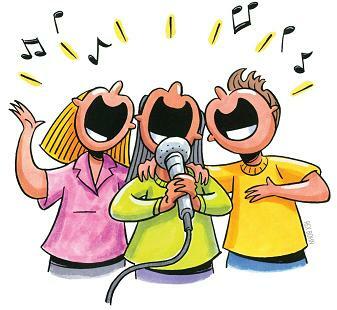 With the aid of words to a song appearing on a small TV screen, and in unison to hearing the melody, anyone who wants to participate in Karaoke simply sings the lyrics. Music is a part of our everyday life. Somewhere way down deep inside is a singer in all of us. Maybe you’re the next big singing sensation, a young Justin Bieber or possibly a young at heart Frank Sinatra. If that’s not your style then maybe it’s your secret dream to one day be a famous Nashville Country singer. In any case, it’s fun to dream and fun to sing. If you’re like most of us though… maybe you too have realized you shouldn’t quit your day time job any time too soon and Karaoke is your best option. You can either buy a portable Karaoke Machine or you can Karaoke from a Gaming Console like PSIII, X-Box or Wii. And, there are even options to Karaoke using a smart phone or PC. If you’re starting from scratch and don’t want a gaming console, or if you want the benefit of Karaoke at home plus events outside the home, the Portable Karaoke Machine will be your best bet. With these standalone machines everything needed for Karaoke is included. And, setup is a snap too, just plug it in, pop in the Karaoke Disk, take command of the microphone and start singing your heart out. As simple as these systems are they typically don’t allow access to the internet for new songs. Karaoke on a Gaming Console such as the Wii, XBox 360 or Sony PS3 can be a lot of fun as long as you have the proper microphone. If you don’t have a gaming console naturally you’ll need to buy the gaming console you want as well. If you already have a gaming console you’ll want to make sure it has enough available memory for the Karaoke games or you’ll need additional storage. The upside of Karaoke on a Smart phone or computer is actually pretty straight forward. The downside however is not being able to use a microphone and the handheld microphone is part of the fun of Karaoke. That aside, apps are available to smart phones and even a website that lets you mix your own karaoke video is available. And in the case of an iPod, there are even iPad Karaoke Systems available too.